As diabetic having a craving for sweet things can at times be so wanting. It is so unfortunate that you can’t eat just any sweet thing that comes to your mind without considering the effect it may have on your blood sugar levels. Stevia is a sweet plant low in carbohydrates and can make up a great diet for the diabetic. In fact, several companies have adapted adding stevia as a sweetener to their sugar-free beverages and foods. Given its richness in minerals and vitamins stevia is a plant with a lot of benefits when made as part of the diet by the diabetic. Stevia also contains magnesium and chromium. Magnesium as a nutrient in the body helps in secretion of more insulin and creates conducive condition for the insulin to work better. Chromium, on the other hand, has quite a handful of benefits to the body. It helps in maintaining a normal glucose metabolism in some cases there have been incidences where a deficiency of chromium in the body has been associated with irregular glucose intolerance. O the positive side, most people with diabetes don’t have a deficiency in chromium. 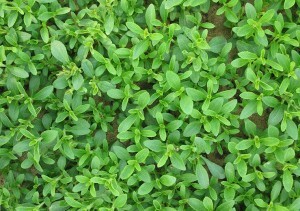 We mentioned earlier that as a plant stevia is rich in vitamins and minerals. These minerals are only found in the plant and not in the powder or liquid substance you buy at the shop. To get the nutrients you can cut the leaves of the plants and add them to your food or beverages. Stevia for diabetics-what does science say? Science has it that stevia is particularly useful to not only people living with diabetes but also other individuals as well. For instance, stevia is promising to individuals diagnosed with type diabetes and hypertension. On a wider perspective, stevia is said to be approved by the FDA as to contain antidiabetic and antioxidants. This is particularly useful in suppressing the plasma glucose levels. so what are these health benefits to the diabetics? If you thought sugar is the sweetest thing, then you better reconsider that. Stevia as a plant is said to be 30 times sweeter than sugar. Yes! You read that right. And that’s not all when processed as a sugar substitute it can be 400 times sweeter. This now explains why most companies have adopted using stevia as a sweetener to their beverages or foods. Even better, even will all the sweetness, stevia doesn’t pack in extra calories meaning that it won’t raise your blood sugar levels and as a result making it the best option for diabetic people with a craving for something sweet. Stevia can also be used to cook food, all you have to do is ensure that you follow the recipes carefully. You can also add stevia to coffee, yogurt, food or any other drink. If what you seek is to make your meal, drink or breakfast sweeter, then the best immediate option should be stevia. Other options include artificial sweeteners which pack a lot of calories and carbohydrates which can be fatal to your health as a diabetic. As much as we have many artificial sweeteners advertised as sugar-free or diabetic friendly. The truth of the matter is, these artificial sweeteners have a lot of health defects. Studies have shown that artificial sweeteners cause an increase in the blood sugar levels and in some instances your gut bacteria. This, in turn, will have a negative effect on your condition since it will lead to glucose intolerance. It is also not something new hearing artificial sweeteners being associated with weight gain all which can be fatal to a diabetic. First and foremost, always remember that 2 tablespoons of stevia leaf powder are equivalent to a cup of sugar. Fresh stevia leaves can be used in sauces or lemonade where you have an option to have it boil and take it as a sweet herbal tea. 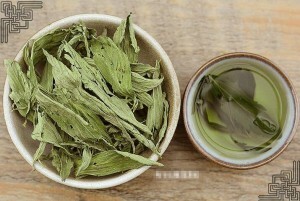 Dry stevia leaves can be used to make a powdered sweetener. Always ensure that you store the sweetener in an airtight container. Finally, you can make stevia syrup for adding to beverages as a sweetener. 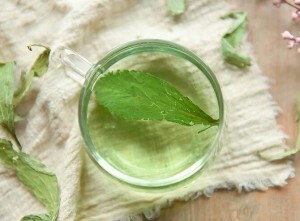 Crush a cup of fresh stevia leaves then add some warm water. Store the mixture in an airtight place and place it outside for approximately 24 hours. On storing the syrup in an airtight container and freezing it will last for years. Is it safe to use stevia when diabetic? Nothing links to taking stevia preparation to having any negative effect on blood sugar levels. On the contrary, according to a study in Brazil, it was found that taking stevia preparations 4 times in a day in a 6 hours interval helps reduce your glucose intolerance. According to a research by a private institution in Iran, taking stevia as part of a diabetic diet is linked with a helping the pancreatic tissues and increasing the amount of insulin generated by the body. In all the researches done on the health benefits of stevia to the diabetic, one thing is constant. They all agree to the fact that stevia plays a very important role in ensuring that stable blood glucose levels are maintained. Other sugar substitutes are more likely to overhead to pack in excess calories whereas this is not the case with stevia which is free from carbohydrates and calories. Published in 2005 is a study that indicates that stevia can improve insulin sensitivity, reduce plasma glucose concentrations and reduce the insulin resistance in the cells. There is no enough research and evidence showing the effect of adding stevia when pregnant or breastfeeding but to safe avoid using it. If diagnosed with low blood pressure, avoid adding stevia since this might cause it to drop even lower. A certain study showed a reduction in fertility of male rats after consuming high dosage of stevia. There have been no reported incidences in human since so as this to happen you must have consumed a very high dosage of stevia. As a diabetic, there is no other better way to sweeten your food than adding stevia. However, as a precaution always ensure that you pay attention to the warnings and consult your doctor for further clarifications. Hello Lisa. I know you probably don’t want to endorse any certain products but I have been using Truvia for years. I don’t use it a lot but usually in the morning with my cup of coffee, or in tea and if I bake a treat. I’m not sure if raw stevia is available in my small town. However, I would like to know if you think this is a good choice? I’ve read mixed opinions.